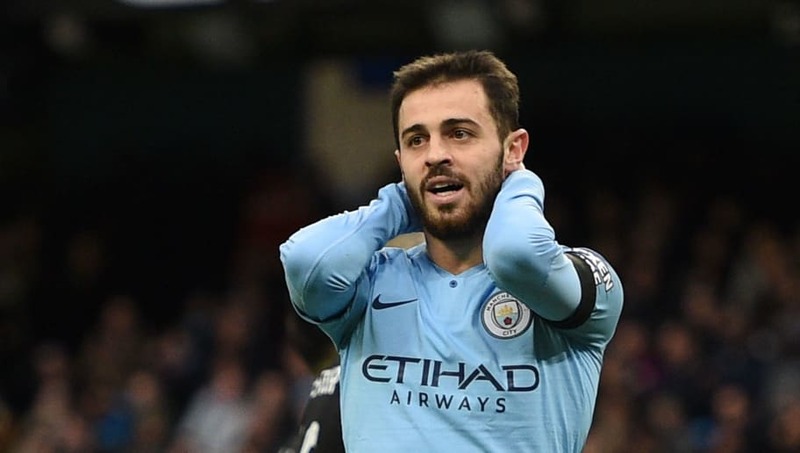 ​Manchester City's Bernardo Silva admits his side thought they had missed out on consecutive Premier League titles after their defeat to Newcastle, but claims there is now 'hope' following Liverpool's recent slip-ups. Having fallen to a 2-1 defeat in Tyneside at the end of January, ​Liverpool had the opportunity to go seven points clear at the Premier League summit with victory over Leicester, yet failed to claim three points in both that and their most recent match against West Ham. Those dropped points for ​Liverpool, coupled with ​City's wins over Arsenal and Everton, have seen Guardiola's team currently lead the pack on goal difference, albeit playing one game more, and ​Silva confesses his side thought at one point all was lost. “After Newcastle, it was very tough on us. We were very disappointed, more than anyone else," Silva said, as quoted by the ​Mirror. "The players, the staff, we were all very sad, because we all thought we had lost the league in that game. Fortunately, Liverpool drew against Leicester and that gave us a little bit of hope. Then there was another draw against West Ham and that meant the race was on." Still present in all four competitions, City face a hectic schedule up until the season's close, already playing four more matches than their nearest challengers, yet Silva is loving the intensity, as the Citizens bid for an unlikely treble.